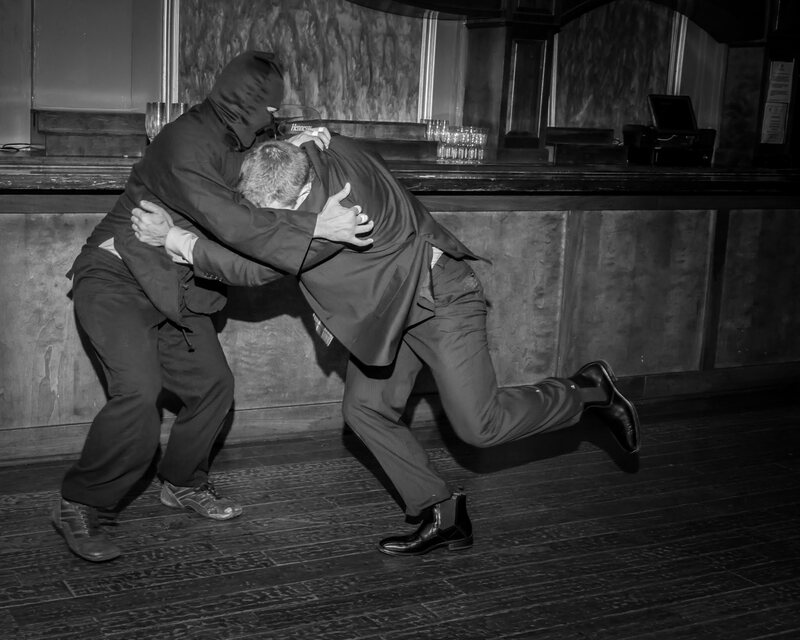 This tribute-styled event celebrates all that is Bond. Your guests will enjoy a little taste of what it means to live in the glamorous Lworld of an international spy. 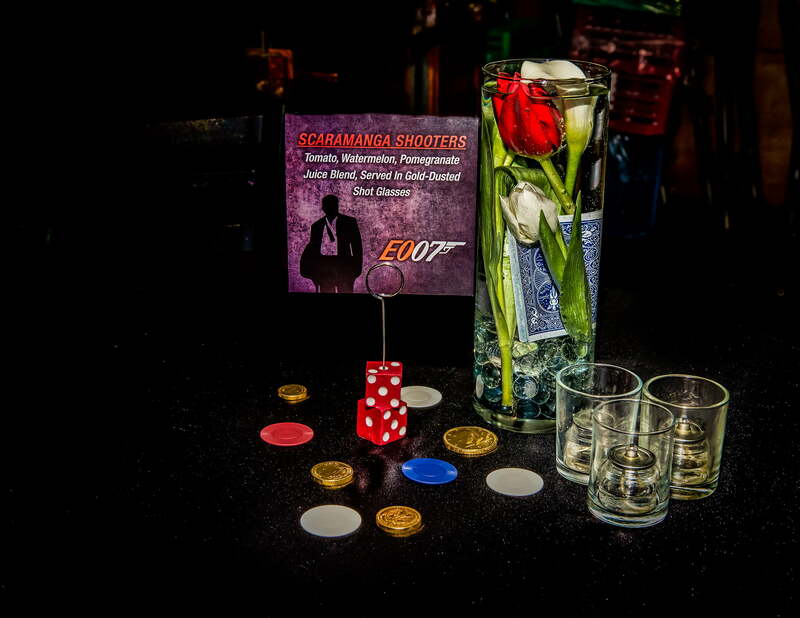 A colorful cast of intriguing characters, breath-taking action, a themed sound track, cleverly named menu items and, of course, martinis shaken not stirred are the order of the evening! 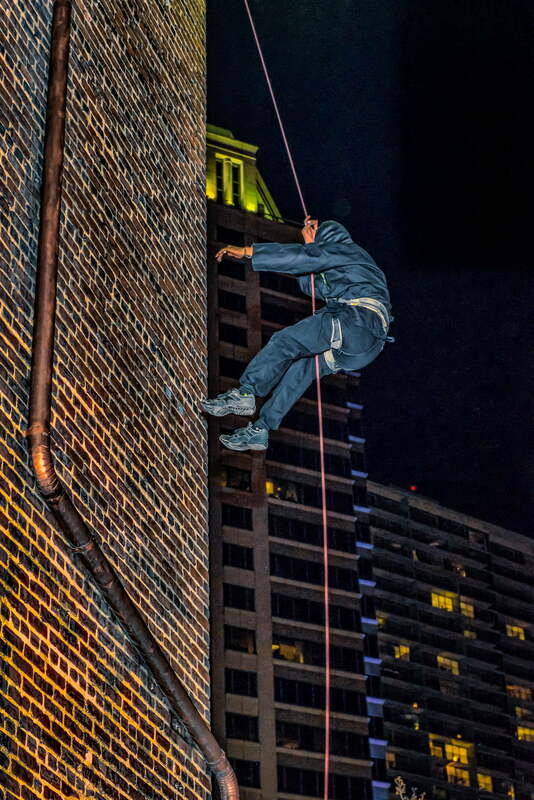 Ninja stunt performer scaling the face of the building over the guests’ heads at the arrival entry. Bond girl “Solitaire” and her evil henchman at check in, reading the fortunes of arriving guests. A legion of Nemesis henchmen with effects make up, exotic costumes, and weapons at every turn. 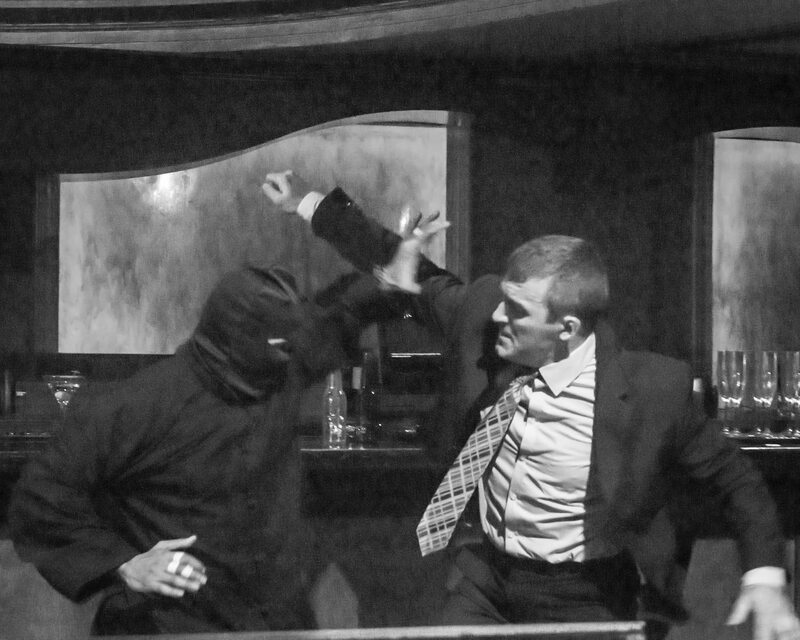 Evil nemesis characters lurking, performing scenes from infamous Bond films amidst the guests, further drawing them into the action. A Hollywood stunt spectacular running in multiple thrilling scenes throughout the evening featuring gunfire, hand to hand stunt fighting and acrobatics, bottles smashed on heads, blood spilled and a the WOW moment…a breathtaking free fall from a 2nd story balcony. Themed invitation and signage (invitations, bottle labels, entry door wraps, restroom signage, buffet / menu cards, costume contest “playing card” themed designators, bar signs, etc). Custom motion video graphics for L.E.D. wall stage set behind band. Custom themed video loops honoring sponsors on video monitors. 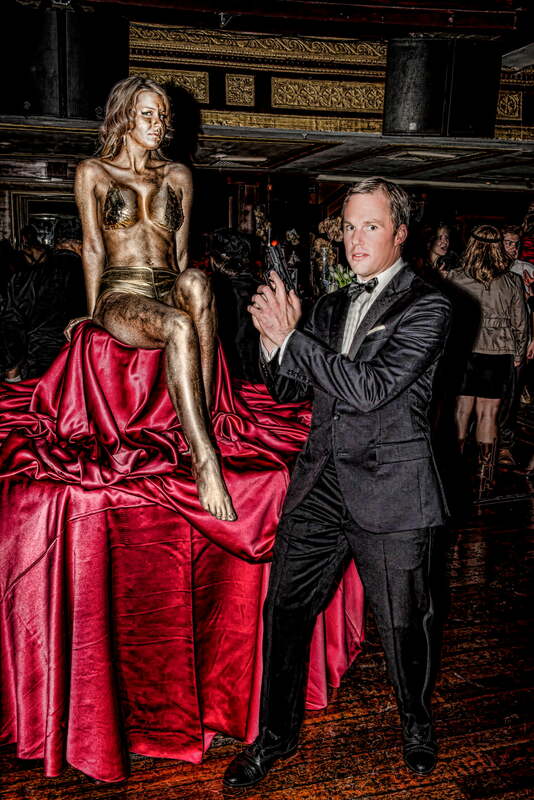 A themed buffet featuring a “Goldfinger” tribute body painted live performer centering the dessert table. A tribute band like no other, this group of talented musicians in full theme garb (dressed as Bond, Bond girls and villains) provide a constant backdrop of nothing but Bond theme music all night long. I could tell you more, but then I’d have to kill you! Or contact us for more information including access to the full case study on how this event can achieve measurable results for our clients.